Unposed wedding photographers based in Denver for the non-traditional bride and groom who want their photos to remember exactly how their wedding day felt. Natural wedding photographers for the sentimential bride and groom. This story-telling type of wedding photography is for the sentimentalist. At Selah, our unique mixture of journalistic and artistic wedding photos will help you recall how it felt to be loved so dearly on your wedding day. We will capture tiny details and so much more. For the bride and groom who would rather remember what the day felt like than simply see their prettiest smiles facing the camera. Weddings are filled with countless moments of celebration and glimpses of the couple’s relationship. Out of this myriad, what is it that you really want to remember? Is it the simple photos of your family standing at the altar? Or the look that passes between you and your husband as you are pronounced “man and wife”? Your wedding day is one like no other. Everyone you love gathers in one room to celebrate you. We believe this experience is one of the best life has to offer. 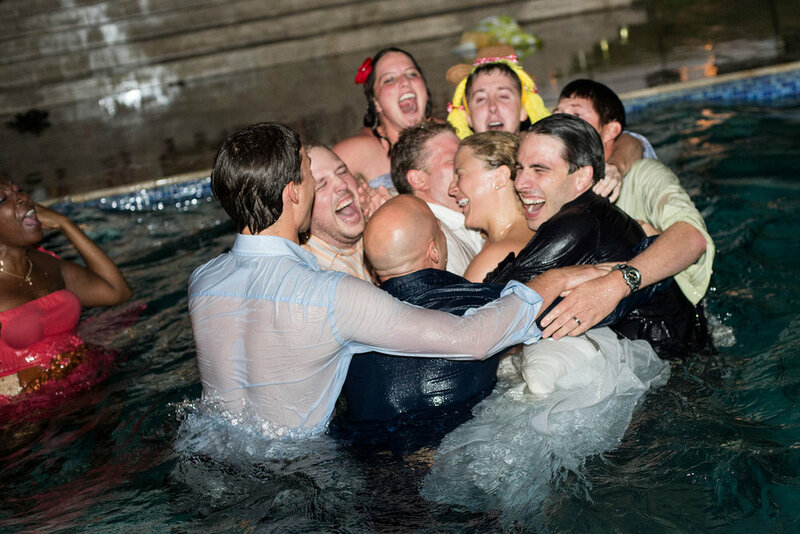 We want your wedding photojournalism to reflect that. Does hiring you as a wedding photojournalist mean we never take any posed photos? If taking posed photos is a priority for you, first make sure you really want documentary style photography. Do we take posed photos? Kind of. Family photos, for example, are something we think are valuable. They are a big part of creating an heirloom collection. Alongside that, we believe a few of those nice, smile at the camera photos are important too. What does the documentary style approach look like on your wedding day? It’s quiet, unobtrusive and excited to take photos of anything moving and meaningful. It’s rare that you’ll find us interrupting moments or tainting interactions to make a picture. We watch for your joined hands during the vows, for that special embrace from a friend, for the pure bliss of celebration. We want to capture the moments that will remind you and your family of the greatness of your love. We’ve found that the couples who are a best fit for our style are uninterested in posed photos. Even if the posed photo was striking enough to grace the cover of Vogue, our brides and grooms would rather have a photo that shows who they are. How does the documentary style work with our portraits? 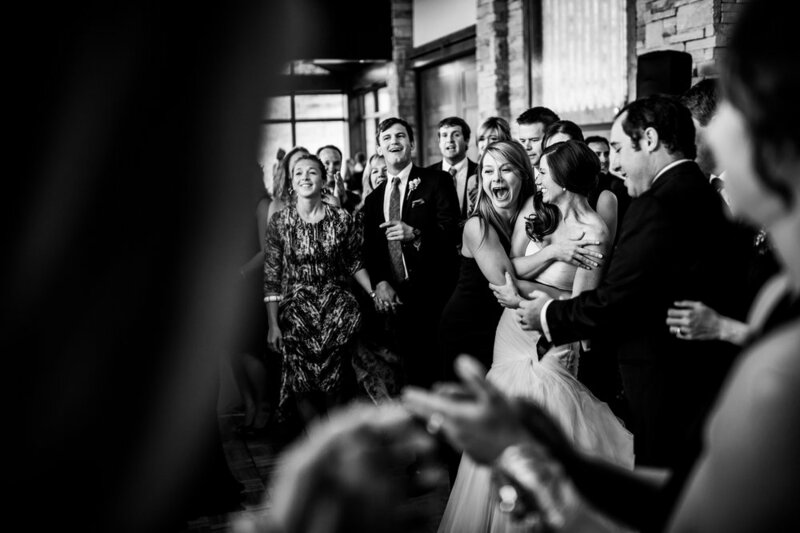 As a top Denver wedding photojournalist, Jackie has mastered storytelling, whether it be done in one of Denver’s most luxurious hotels or a Colorado mountain wedding. To create natural portraits, Jackie has a process of directing that she calls interactive documentation. She guides photos in a way that encourages genuine interaction and nice, yet casual, photos of your family smiling at the camera. Jackie has traveled, and will travel all across the globe for the sake of a good story but she’s also quite fond of Colorado. Some of her favorite destination wedding locations in Colorado include Aspen, Telluride and Vail.